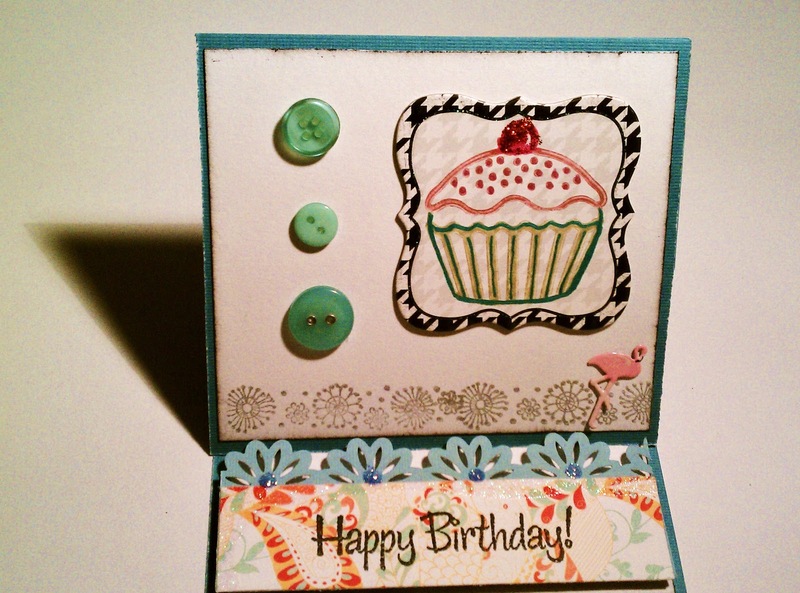 So now here is my first ever Easel Card. I have seen so many posts about these cards so I made one for a birthday coming up. I really like them, I think I'm hooked! 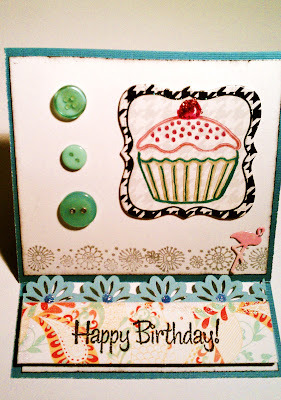 So on Tuesday I will post a how-to for an easel card, so come back to check it out! I am going to start a 'How-To Tuesday' post once a week. Here was a past How-To Tuesday for a great Easter and spring wreath for only $15, be sure to check that out! 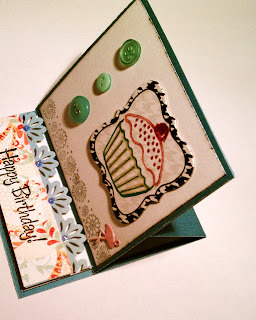 Love the new look to your blog and your did wonderful on the card girl!! 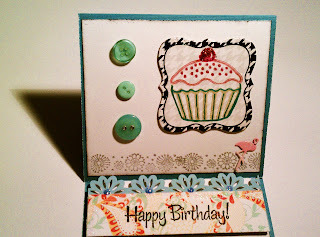 Love your new look blog, and the easel cards are addictive!! 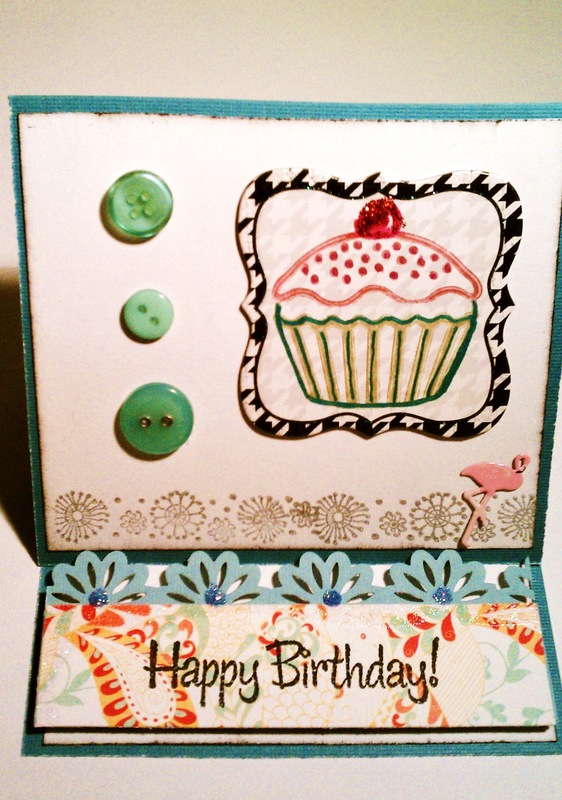 Lovely cupcake card too! Thanks so much! They are definitely my new favorite card, I hope people don't get sick of them too soon!